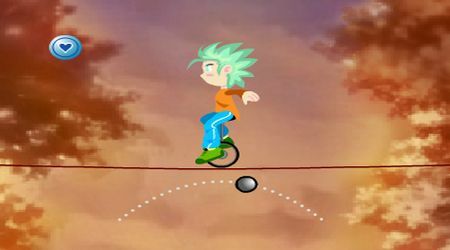 Move your mouse left and right to keep the ball in the center, this will keep your character balanced on his unicycle. 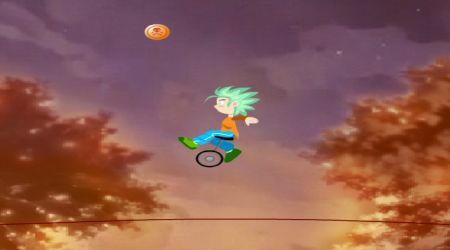 Drag the mouse vertically then release to make your biker jump. Collect blue balls while avoiding the dangerous yellow ones.